When you look at some of the other state’s flags from among those that are considered “small indistinguishable designs on blue bed sheets,” I guess we could say that MINNESOTA’S state flag is no more trite, outmoded and “look alike,” than any of the others. And we’d probably agree that those other ones are really pretty dull and blah. But, that is the problem of the others; Minnesota’s is OUR flag and if we can also agree that it needs changing to a design that is clean, fresh, less complicated and easily recognized– then WE can make a choice to change it. 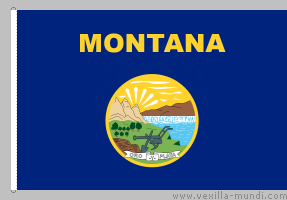 State flag designs DO change not infrequently and sometimes not for the better. 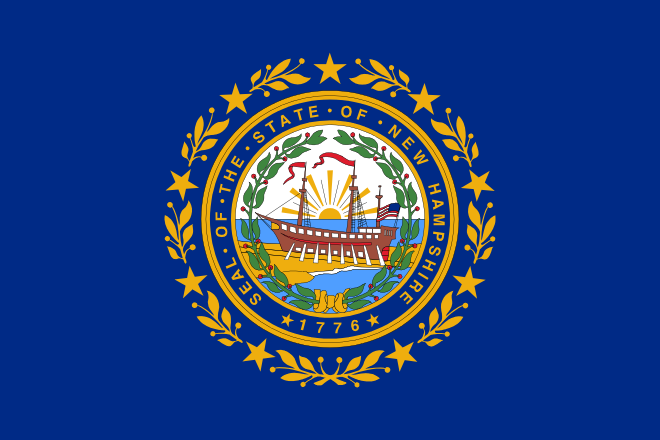 An example of one of those same-size-fits-all flags is that of New Hampshire. Recently, a citizen there named Frank Pastore suggested making a change in the design to something a bit bolder. 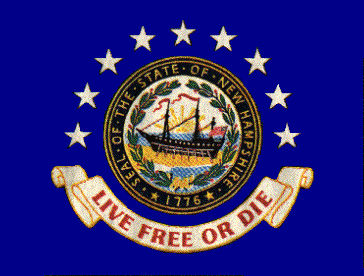 He suggested getting rid of the small-detailed leaves and letters circling New Hampshire’s State Seal and replace them with larger but white stars in an arc over the top half of the circle; and then, beneath adding, on a broad ribbon, the state’s motto– “Live Free or Die.” Yes, the less numerous and larger stars were a clarification; but adding large letters provided no help and made mirror images on the reverse of the flag– not really a good idea. Pastore’s design idea was not acted upon. 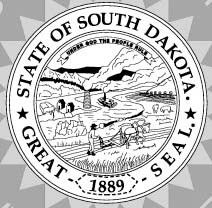 Three others among this lesser group of designs, however, have strongly resisted ideas for change from citizens, but sometimes have new details added to the flags by their legislators. Idaho, Kentucky and Nebraska declared their flags “official” and have stuck with them, although these declarations occurred rather late. Like Kentucky– 1962; and Nebraska in 1963. 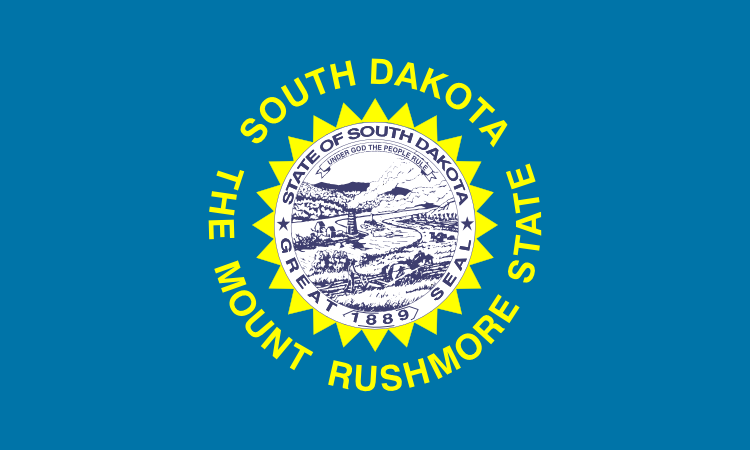 Wisconsin, South Dakota, Kansas, and Montana are states whose flags demonstrate change that their legislatures, in committees, caused to take place out of their recognition– and some say it directly, in so many words– “nobody can tell what flag that is.” And so, their legislators pass laws to add the names of their states to the designs. Is such a move really an improvement? Interesting that there are but a few letters that read the same whether seen from the front or back; like A, H, I,M, O, T, U, V, W, X, Y. — HAWAII, IOWA, and UTAH are examples of text addition that come to mind. The remedy of adding the name is like an admission of being neglected, passed over, unacknowledged. And, just may add to the confusion. 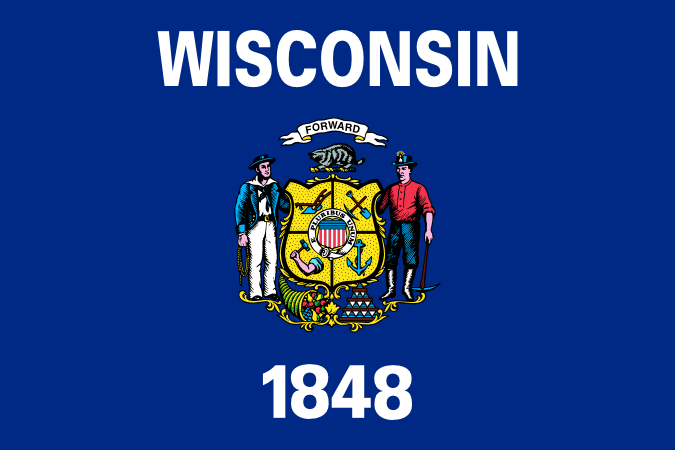 Wisconsin’s flag received the addition of large WISCONSIN plus 1848 just a few years ago in 1979. 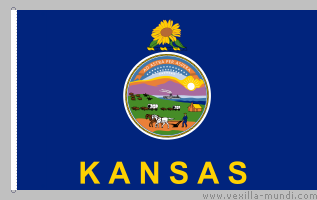 Kansas added its “name tag” in 1927. Minnesota’s State flag of 1893, unfortunately, from our observation, belongs among the designs here. It is deplorably confused with details and symbolism as well. 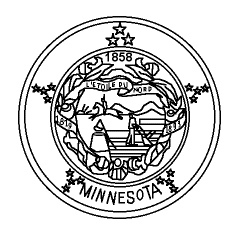 The lone but remotely distinguishing feature of the Minnesota Seal is the broad white circle surrounding it; but this is “spoiled” by the addition of MINNESOTA spelled out in prominent letters. The design doesn’t “work” any better than the others. WE can choose to consider making a drastic and new change of our flag. We have included a couple of diagrams from pages of “Color Me!” booklets. 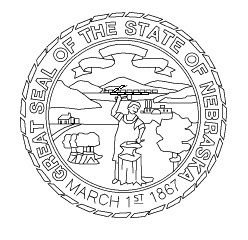 These should be convincing to show how complicated, detailed and “crowded” most state seals can be when used on flags. Hard to tell apart, aren’t they? ~ by marcstratton on 27 December 2007.